1 Does collagen actually work against wrinkles? Many of us have wrinkles all over our bodies. Every time you sit down, scrunch your hands or neck, wrinkles are formed. However, that’s much different than having them on your face. Facial wrinkles, though, are different. They’re seen as a sign of aging and can really make you look ten years older than what you really are. Though some people love their wrinkles and don’t mind them, others are highly self-conscious about them and wish there was a way they could reduce the appearance of their fine lines and wrinkles. Wrinkles can be found anywhere on the face, however, they’re most seen formed around your mouth, neck, eyes and forehead. But before we show you treatment for reducing the appearance of wrinkles, it’s important to know why you have wrinkles and what causes them. If you have wrinkles, don’t worry, it’s completely normal. Wrinkles are a part of the aging process. But, what causes them? Well, as you age, your skin naturally becomes drier, thinner and less elastic. This means it’s prone to damage from your outer environment such as the sun. Over time, the wear and tear on your skin lead to wrinkles, fine lines and creases. In addition to naturally aging, external factors such as smoking and excessive drinking can increase the development of wrinkles and fine lines. Does collagen actually work against wrinkles? Yes. 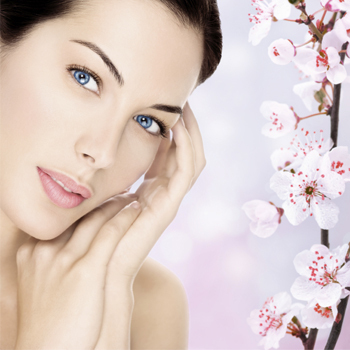 The skin is made up of three properties: hyaluronic acid, elastin and collagen. Collagen can be used for wrinkles and fine line. Why? Because that is what is naturally used in your body for youthful skin. Collagen is a naturally produced protein in your body and is at its highest levels during your youthful years. At this time of your life, your skin is at its plumpest and smoothest. As you age, the production decreases, thus, signs of aging start to show. By supporting the production of your collagen, you’ll be able to increase your levels, thus, reducing the aging effect. 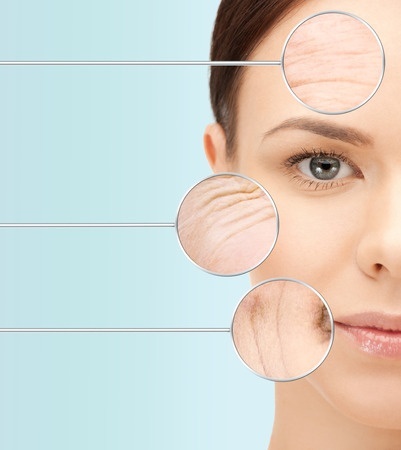 Now, there are various treatments to consider when looking at wrinkle reduction. It’s important that you’re aware of your options. You don’t have to always receive treatment by a dermatologist in order to reduce the appearance of wrinkles. Your body produces collagen and when you start to age, it decreases its production. However, though you may not have a high production of collagen in your body, you can have it injected into your face to reduce the appearance wrinkles and fine lines. Using a syringe, collagen is injected into the face where the wrinkles are, giving it a plump appearance. The collagen is either from cow or human, however, you need to have it tested on you before your first treatment. The injections may be rejected by your body which could cause severe complications and discomfort. In addition, you’ll need to continually update yourself through treatments which can range between going every two to six months. What the collagen injections do are rather than supporting your body’s production of collagen, it provides collagen. It’s been a well-known fact that botox is a popular method for wrinkle reduction. Botox is an injectable toxin that’s derived from bacteria. 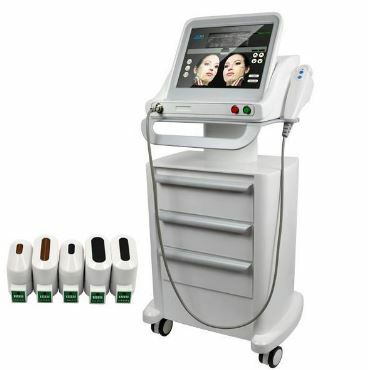 What is does is temporarily eliminate wrinkles and fine lines from your face. 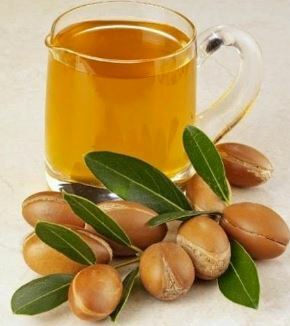 It softens your wrinkles by acting as a muscle paralyzer which can last up to 3 or 4 months. However, if not used properly, Botox can cause drooping eyelids, crooked smiles and temporary drooling. In comparison to collagen, Botox is not a naturally made substance in your body, so this isn’t considered as safe and natural. It’s also quite expensive and you’ll need to be comfortable with having injections. Shea butter. This is one of the most crucial ingredients in Kollagen Intensiv. It’s full of healthy fat and crucial for nourishing your skin and encouraging the production of natural collagen in your body. Acetyl Hexapeptide-3. If you’re looking for a natural botox, this is the best option. It’s also known as Argireline and acts as a muscle relaxer. Tension in your muscles causes wrinkle and fine lines. It also aids in protecting your skin and maintaining a youthful glow. Retinol. Retinol is another very popular component in creams that are designed for anti-aging. However, with most creams, they use very little retinol in their products so the effects are minimal. Retinol acts to reduce the damage on your skin while also protecting your skin from outdoor pollutants. SYN-COLL. This is a new product which helps aids the production of collagen in your body. It naturally stimulates your body to produce collagen levels which can greatly reduce the appearance of scars, wrinkles and fine lines. This new product is regarded as one of the most effective anti-aging treatments. Vitamin C. Any good skin product which is aimed at reducing the appearance of wrinkles and fine lines will contain vitamin C. It’s an antioxidant and is also a crucial component in the production of collagen in your body. Now that you know the options for wrinkle reduction, it’s time you looked at what really counts. If you want a non-invasive, effective and fast way to reduce the appearance of wrinkles and fine lines, Kollagen Intensiv is your best option.